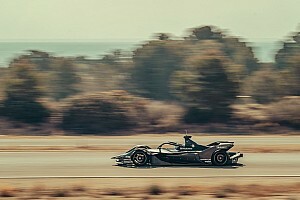 Disruption to the race caused by a red flag following Jean Eric-Vergne and Nelson Piquet Jr's crash caused an energy management headache for some teams in the final phase of the restarted E-Prix. 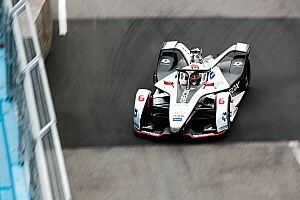 Nissan miscalculated the required energy to make it to the end of the race, while Mahindra Racing's Wehrlein ran out of energy on the start/finish line following pressure from eventual winner Lucas di Grassi. 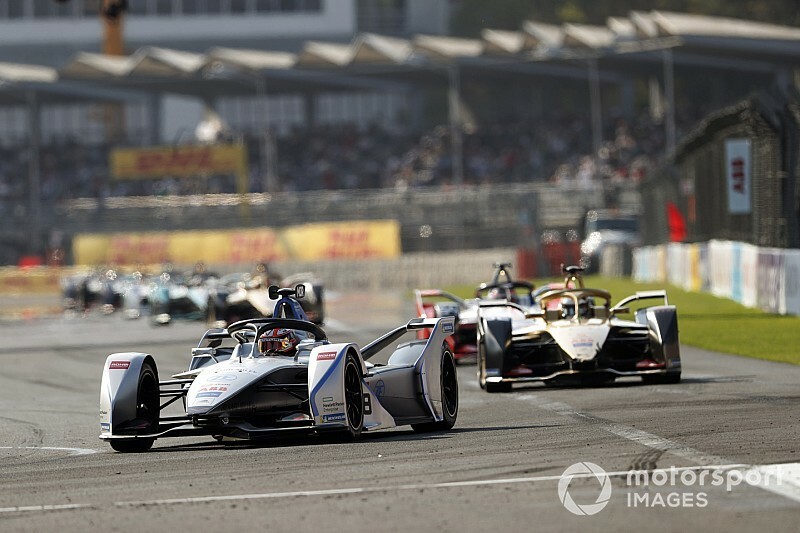 That meant Mortara, who climbed from ninth to third before the final lap and had more energy remaining than any other driver in the top three at the end of the race, claimed a surprise first podium of the season for Venturi. "I had a lot of energy remaining at the end of the race, enough to make a barbecue," said Mortara. "As soon as I reached the top group, I was already sixth and sixth for us is already like a top position, let’s just take it and hope nothing is mixing up the front. "I could see they [Nissan] were really struggling, which surprised me as it [the race] was easy on energy. "The Nissans stopped in front of me and there was fighting in front and I was starting to think if it carries on this way they might crash and I’d be on the podium, and it happened!" 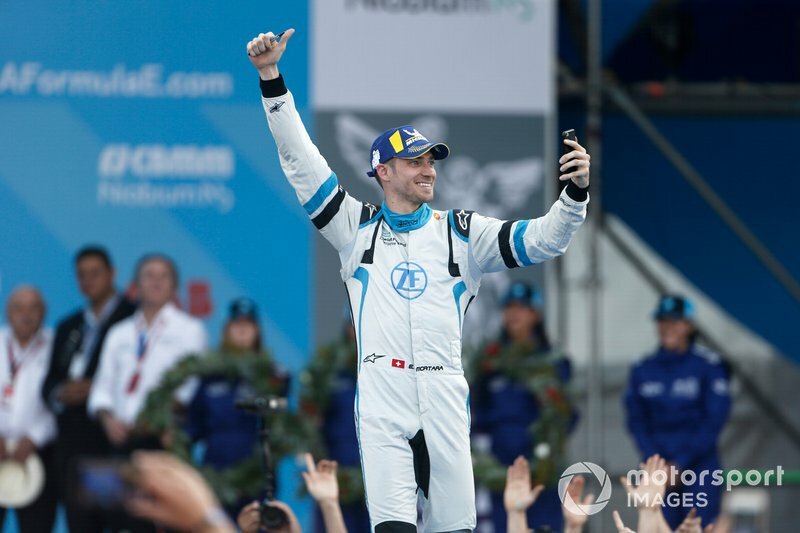 Asked to expand on his energy-saving tactics, Mortara told Motorsport.com: "The secret was to do an intelligent and efficient race, staying calm. "Being behind the others [in the leading pack], I didn’t want to take too many risks. I tried to be intelligent, I only had one overtake to do against Felipe [for sixth]. "It was basically timing the attack mode in the right way. 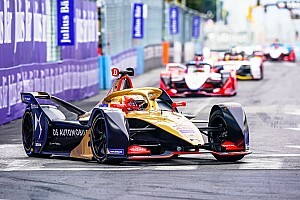 For the first part of the race, when I was behind him, I had better pace so I could save energy and wait, not to take any risks as he’s my team-mate. "I timed it correctly and at the end, I didn’t want to consume the energy because it implicates you’re pushing more, using the tyres more and sliding. I was happy with the pace."